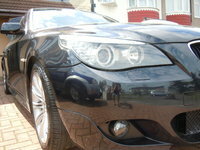 Start a new BMW 5 Series question. 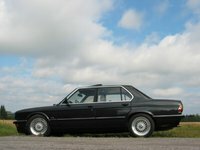 When the BMW 5 Series debuted at the Frankfurt Auto Show in 1972, it marked both the culmination of past designs and the wave of the future for the German-based automaker. 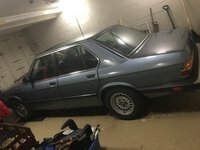 The midsize, four-door, rear-wheel-drive 5 Series grew out of BMW's New Class, a line of four-door sport sedans launched in the 1960s, which were BMW's bestselling vehicles up to that point. The New Class, including the 1500, the 1800, and the 2000, rode on a sport-oriented chassis with a firm, performance-tuned suspension, and featured a roomy five-passenger cabin with padded surfaces and an upscale feel. 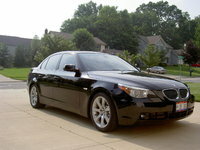 BMW carried that suspension, as well as the luxury-oriented interior, forward to the new 5 Series. 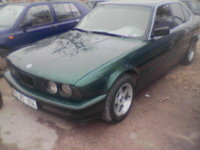 However, the automaker made a departure when naming the first 5 Series trims, the 520 and the 520i. 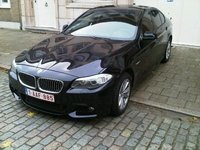 Instead of using the previous naming system, which consisted of four digits, BMW introduced a new three-digit nomenclature, in which the first digit indicates the platform (in this case, the 5-Series), while the last two numbers indicate engine displacement--2.0 liters in this case, plus injection for one trim, resulting in the "i" designation. 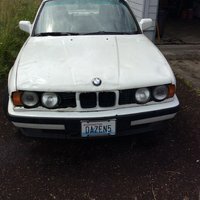 BMW continues to use that naming system for its vehicles today. 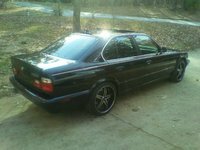 Outside, the new 5 Series displayed distinctive Italian/European design cues, with dual headlights, a dual-kidney grille, large windows, and an overall sleek shape with a low-slung waistline. 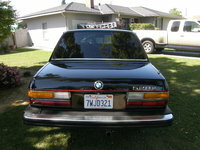 The rear pillar also incorporated a distinctive BMW design element called the Hofmeister kink, a forward bend low in the pillar behind the rear window. 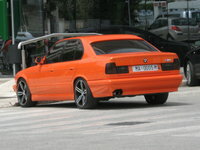 For the first time, the automaker used computer modeling when designing some of the 5 Series' safety features, such as the front and rear crumple zones. 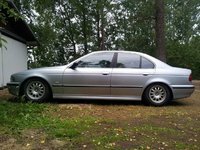 BMW also used roll-over bars in the roof to help stiffen the body, resulting in tight, responsive handling. 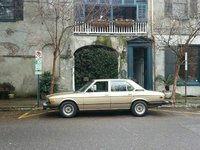 While initially powered by a 2.0-liter four-cylinder engine, the 5 Series added the 525 trim, powered by a six-cylinder engine, in 1973. 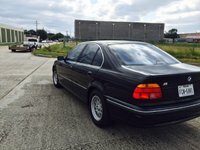 The first U.S. 5 Series trim, the 530i, was equipped with a fuel-injected 3.0-liter six-cylinder engine generating 176 horsepower. 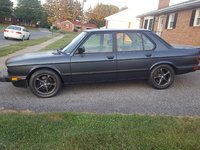 It appeared stateside in 1975. 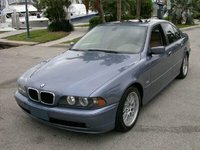 A few years later, BMW rolled out the 528i, with a slightly less powerful, 169-hp, 2.8-liter six-cylinder. 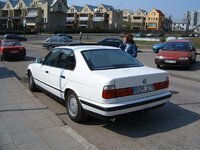 The first-generation 5 Series, which rode on the E12 platform, lasted from its debut in 1972 until 1981. 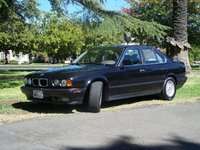 The second generation, with its E28 platform, included the 535i and the diesel-powered 524td (for turbodiesel). 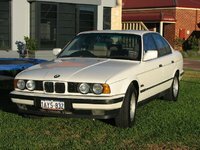 It was replaced in 1988 by the third generation, which rode on the E34 platform and included two V8 trims, the 530i and 540i. Both debuted in the mid-1990s. 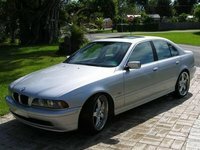 The wheelbase of the fourth-generation 5 Series, which bowed in 1995, was stretched nearly 3 inches, resulting in the E39 platform and a profile that more closely resembles current 5 Series cars. 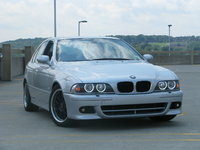 Highlights included the V8-powered 540i trim. 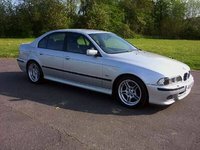 The fifth-generation 5 Series, which took to the roads starting in 2003, proved somewhat controversial, due to its exterior design, particularly in the hindquarters. 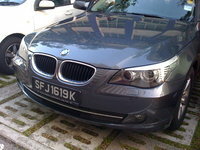 It rode on the E60/61 platform, and included such options as Active Cruise Control, Active Steering, and High-Beam Assist. 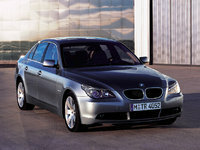 In addition, BMW offered the fifth-generation trims with optional xDrive four-wheel drive. 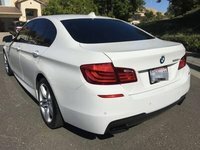 With the debut of the current sixth generation in 2010, the 5 Series took an evolutionary step forward while also gazing into the past. 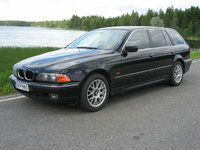 Gone are the controversial design elements of the previous generation, while some visual cues, such as the lines along the hood, were drawn from earlier 5 Series designs. 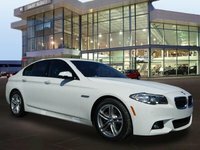 Once again, BMW stretched the 5 Series' wheelbase, this time to nearly 117 inches, an improvement of more than 3 inches over the previous generation, and to nearly 193 inches overall. 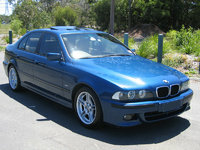 The platform, now designated the F10, features an upgraded suspension, with a multilink configuration in the rear. 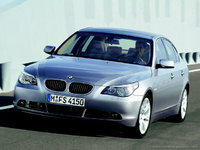 The new 5 Series remains a rear-wheel-drive vehicle, although owners can add all-wheel drive as an option. 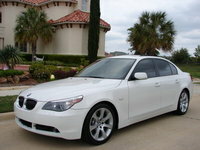 Sixth-generation trims include the 240-hp 528i, the 300-hp 535i, and the 400-hp 550i sedan.